1.Added cables and cable length calculation (Pro and Basic versions). 2.Added a Cable List page to PDF reports. 3.AutoCAD DWG 2018 drawings support (Pro). 4.Measuring Tape tool has been added. 5.Added new 3D-models: cash register, barrier and turnstile. 6.The image quality indicator (shown man’s face and a number plate with the calculated pixel density) has been improved. The user can right click the indicator and choose 3D Face from the popup menu. 7.Apart from EN62676-4 camera zone visualization the tool supports new French standard: Detection: 30 PPM, Recognition: 100 PPM, License plate reading: 200 PPM, Identification: 400 PPM. 9.Ultra high resolution backgrounds are supported (up to 10000 x 10000 pixels). 10.Improved the quality of imported PDF drawings. 11.Layers functions have been improved. 12.The user can upload PDF reports to the Cloud. 13.The user can remove PDF, 3D View and drawings from the Cloud using Remove button. 14.Added buttons for selecting the orientation of the fisheye camera. 15.Added Camera parameters quick jump button (to the page with the characteristics of the camera on the manufacturer’s website). 16.Added a button to show a photo of the selected camera model (if the picture is provided by manufacturer). 17.All long operations can be canceled with Cancel button. 18.The graphic kernel has been improved. 19.User 3D models import functions for OBJ files have been optimized. Now the program imports OBJ 3D models 10 times faster (Pro). 20.Sliced large background images are stored in .jvsgz project file to faster loading. 21.In the Basic version: оbstacles of visibility zones are taken into account (the maximum number of cameras is limited to 16). 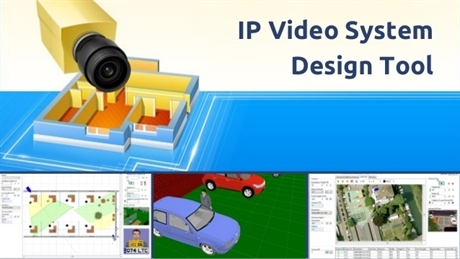 22.AXIS, Vivotek, IDIS camera models have been updated in the camera database. IndigoVision, Satvision and Eneo manufacturers have been added to the camera database. 24.Bug fix for earlier 9.2 versions.